Human resources managers are often tasked with difficult decisions with regard to hiring, firing and disciplining employees of the company for whom they work. In the process of making these decisions and notifying the employees that are affected by the decisions, human resources managers must frequently deal with individuals in a complex emotional state. Even decisions that must be made for reasons that are clearly just matters of practicality will quite often be portrayed as an unfair action. As a result, human resources managers face consistent criticism that is patently unfair, with many disgruntled employees seeking some form of retribution by working to damage the reputation of the human resources manager whose decision impacted them. 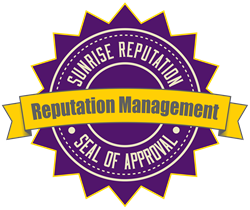 Sunrise Reputation has seen many of these particular instances, and they have developed and are now offering specialized reputation management services for human resources managers. The company has worked with a wide variety of clients that come from many different fields, and regardless of the occupation of the client, Sunrise Reputation has been able to achieve consistently positive results for their clients. This is especially important, as a negative online presence can cause a number of very significant and serious issues, including a decreased earning potential and difficulty maintaining employment. For a human resources manager, the company may wish to cut ties simply to avoid any reputation issues from being attributed to them as well. This is why it is especially important that swift corrective action be taken as soon as possible.